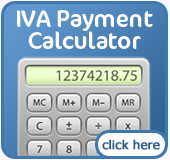 The following list covers the material required to apply for an Individual Voluntary Arrangement (IVA). These documents will be in addition to the application form you may be asked to complete by an Insolvency Practitioner. 1) Statements or letters from your creditors – You will be asked to submit any letters or statements that show the amount currently owed to your creditors. This information should also include your current account or reference number. 2) Car finance or hire purchase agreement – It is best to have your original agreement and any recent letters you may have received. 3) Mortgage statement – This is your annual statement for your mortgage and is needed to help identify information on your property payments. 4) Endowment policy surrender value – Contact your insurance provider and ask them for a confirmation of your current surrender value. Ask them to send you a paper copy of that information for your records also. 5) Property valuation – If this isn’t possible then find sales information for similar properties on your street or local area that may have sold recently. This information can be gathered from real estate agents or your local newspaper but you actual property valuation is preferred. 6) Salary payment statement – It is best to bring in at least 3 months in payslips for you and your spouse. 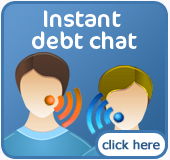 Your spouse may not be liable for your debts but this information is useful nonetheless. 7) Reasons for your financial hardship – With this information, you will try to explain the setbacks you may have encountered leading to your money troubles. Creditors can relate better to things like illness or unemployment but it may be simply that debt escalation is the main reason for your financial hardship. Your Insolvency Practitioner can help you with any of the documents and if you have any questions right now about the documentation required for an IVA please contact us.